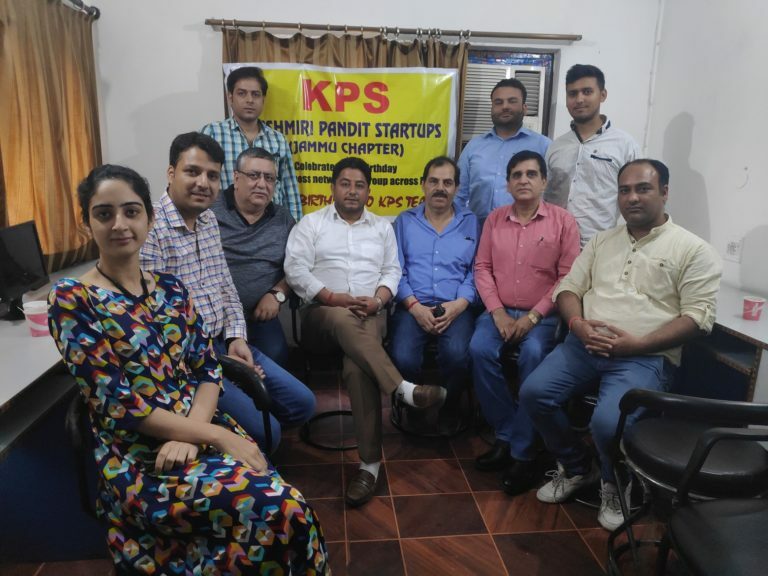 7 April 2019 Jammu: Today, Kashmiri Pandit Entrepreneur’s organized annual meet of Entrepreneur’s with a vision to create a platform for the KP Startups and Small Medium Enterprises (SMEs) to come together and grow. The ecosystem aims to nurture entrepreneurship and facilitating success stories. They also aim at assisting in reaching out to SMEs, potential customers, Angels and Venture Capitalists (VCs). Addressing the media and meeting, Umesh Talashi, Co-Founder , KP Startups said, the idea is to take KP Startups Jammu chapter to the next level, which includes expansion, seminars, incubation of new and budding entrepreneurs and availability of venture capitalists to fund the concepts and ideas of youngsters and help them in establishing the successful business units. In meeting different departments KP Startups Jammu including Media, Marketing and PR, Finance, Sales, and incubation. The team members were allocated the departments with an objective to expand the initiative in an organized way. It was further resolved that steps will be taken for the formalization of Platform and making it the voice of Kashmiri Pandit Entrepreneurs.